Home Blogging Are You Using Facebook Insights on Your Blog? Are You Using Facebook Insights on Your Blog? As you know I am all about data. Data is the most important part of any marketing campaign to better understand your audience. Recently the popular music sharing app, Spotify rushed in users to their platform by letting users register via Facebook. The strategy here is your feed will be fed music your friends are listening to and in essence allowing you to listen to what they are listening to. Leveraging Facebook is a must. You should definitely use it to your advantage in your marketing arsenal. One strategy you should be doing is utilizing insights. Facebook insights are used on Fan Pages, to allow you to better understand your audience who “liked” your page. Facebook extended this feature a while back allowing you to get insights to any site. In this instance I installed Facebook insight on this blog. If you are like me you probably log into Facebook before you even get breakfast. Do you even log out? Probably not. This makes it easier for you to like a site or blog post without re-logging into Facebook. With Facebook insights you want to track the shares of your posts and its reach. Let’s take a look at my recent insight. As you can see (9/29/11 – 7:22pm est) there has been a total of 20 interactions. It may seem small and my goal is to get it higher ofcourse but look at the reach – 5,336 total impressions with 26 clicks. Just the impressions amazes me. I have a potential to reach an additional 5,336 new readers. This means I should probably work on my title, the image that Facebook uses as a thumbnail, first couple words Facebook uses from the post, etc. There is just a lot of factors to consider to get the CTR higher. But besides that there is a spike on September 15th, new information which I can use to. Why did that happen, what did I post, how many likes did it make? This tells me what kind of posts I should write in the future, maybe it even tells me that users are more active on a Thursday? Maybe it tells me more Facebook users are logged on and see the feed of liked posts? So many variables but it is a variable to try to exploit and take advantage. I now have new data which I can use to my advantage. In this case you can see from the first graph the interaction is higher than the rest of the days. With that interaction came Shares which is distributed on Facebook. With that distribution, came clicks (third graph) from users that were interested enough in the blog post. From the graph it looks like that Thursday produced 2 likes, but provided 804 shared impressions which resulted in more shares. Sharing is caring! Now the best part is who are clicking and interacting with my blog? Facebook insights breaks down in who is interacting with your site demographically. Meaning, you will know the age range of your readers, males vs females, what country, and what language. This alone is amazing information because it will be very accurate since this is user inserted data. Now you can dig deeper and find the actual demographic of your readers without being too creepy. This gives you a big advantage and gives you a clear understanding of who your target audience is. There are other sites out there that does demographic research but Facebook data is bar none the best to utilize. 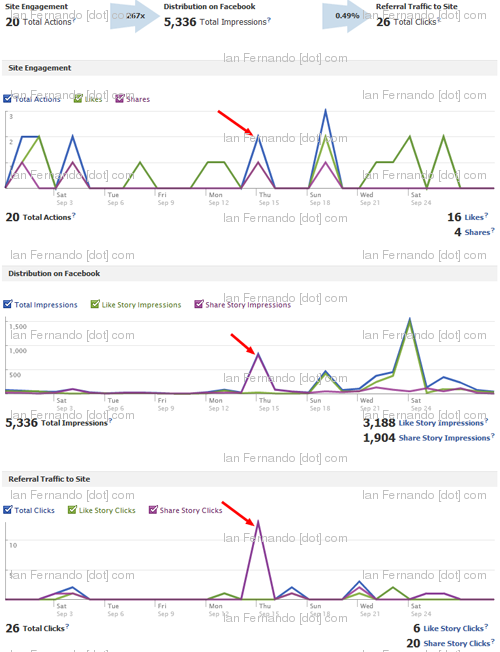 Now the question is are you using Facebook insights on your blog? 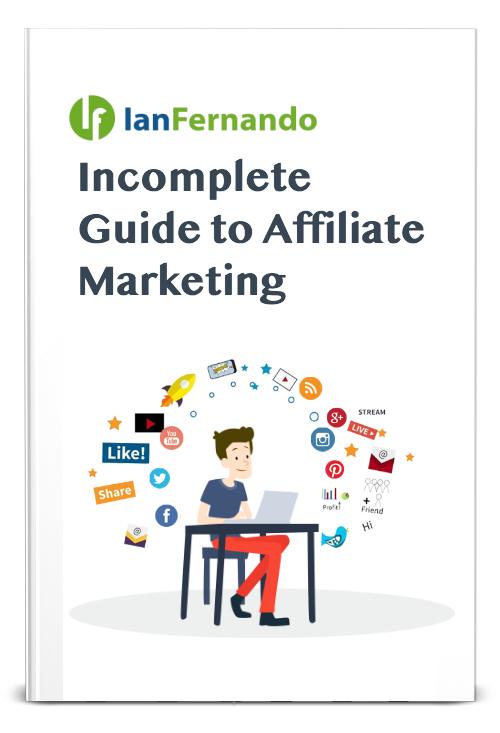 Affiliates are you using it on your LP? I know I am! Thanks for everyone liking my posts! Previous articleAssociated Marketing, What is It?